WHY THIS COULD BE A BUSINESS FOR YOU? At the time we met we were both non-working mothers. Like for many women who, successful careers have been put on hold due to family growth – having kids and being supportive spouses. At the same time we were full of energy, knowledge and experience as well as the willingness to work. Also with age we realised that we didn’t want to do whatever job or start again in big corporations. We wanted to have a business valuable and important for us, our families and society. You might be a woman with the same way of thinking, needs and stage of your life? Trust us – this new business will make your proud of yourself, busy and finally very happy. Who may become our Franchisee? Nowadays what we are witnessing is a dramatic shift our children make from being active to spending their time in front of the TV, the computer, videogames, smartphones etc. As parents we have to find a way to compete with those gadgets and offer our children alternative ways of playing which entail physical activity. The need for more children’s gyms is apparent, and the field offers an abundance of opportunities to those who love children. In addition to aiding in the correct development of the body, physical activity has been proved to help in the development of the mind and social skills of our children. 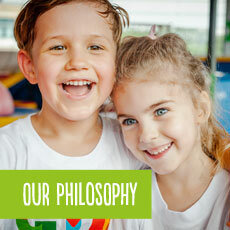 We believe that this is the essence of our mission at GYM Generation®. Our aim is not to create a generation of athletes, but to encourage children to be physically active and help them develop good dietary habits. This small change will make a huge difference in the future. HOW TO BECOME A GYM GENERATION OWNER? It’s an important decision but it’s not a difficult process. From start to finish, we promise to make becoming a franchise owner clear, informative and enjoyable. These financial conditions are valid only in the territory of Poland.